A new preclinical study indicates that THC, the active ingredient in marijuana, may slow or halt the progression of Alzheimer's disease. THC (Tetrahydrocannabinol) is the active ingrient in marijuana that produces a psychoactive reaction. 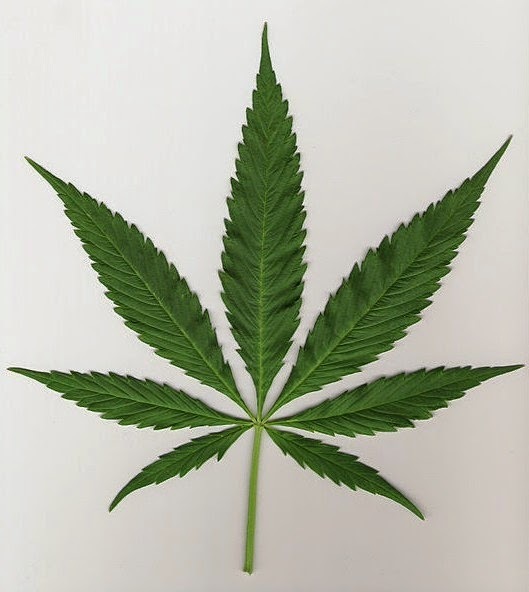 THC is a naturally occurring chemical substance in the marijuana plant. Cancer patients have used marijuana medicinally to find relief from the pain, nausea, and loss of appetite that can be caused by cancer treatments. Researchers from the USF Health Byrd Alzheimer's Institute showed that extremely low doses of THC reduce the production of amyloid beta, found in a soluble form in most aging brains, and prevent abnormal accumulation of this protein -- a process considered one of the pathological hallmarks evident early in the memory-robbing disease. These low concentrations of THC also selectively enhanced mitochondrial function, which is needed to help supply energy, transmit signals, and maintain a healthy brain. Chuanhai Cao, Yaqiong Li, Hui Liu, Ge Bai, Jonathan May, Xiaoyang Lin, Kyle Sutherland, Neel Nabar and Jianfeng Cai; "The Potential Therapeutic Effects of THC on Alzheimer's Disease," Journal of Alzheimer's Disease, DOI: 10.3233/JAD-140093.